Hearts striker following return-to-play guidelines which will keep him out Wednesday's game. 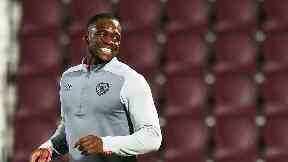 Uche Ikpeazu is line to return to the Hearts team for the Edinburgh derby at the weekend as he undergoes return-to-play protocols for concussion. The English striker was stretchered off after appearing to be knocked out in an aerial challenge with Aberdeen's Dominic Ball at Tynecastle on Saturday. 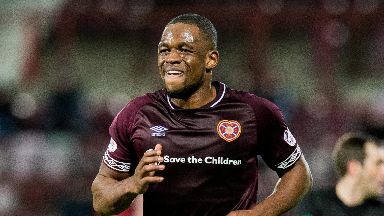 Manager Craig Levein has reported that the 24-year-old is free of any concussion symptoms and has started the process of returning to training. 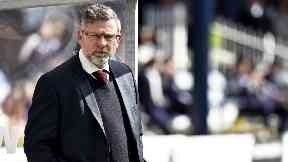 Levein said: "He's good. He won't make the Rangers game but I'm pretty confident he'll be okay for Saturday. "The guidelines are pretty strict. He was fine on Sunday morning when I spoke to him and he has passed all the tests so far and feels good. "The rules dictate that he can't play within six days. I have left it with the medical department and they tell me it is fine. "He says he is fine. 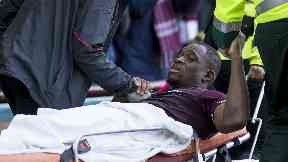 Provided everything goes well, and I see no reason why it wouldn't, then he should be available for the Hibs match." Concussion guidelines issued to sports clubs specify a six-stage protocol for returning to competitive action after a head injury. Once a player is free of all symptoms they must complete a day of full rest. On day two they can do 15 minutes of light exercise, and on day three 45 minutes of simple drills such as running. One day four the recovering player can re-join non-contact training and then full training on day five. Day six can see them return to full competitive action. The player must be symptom-free after every stage. Levein said that Rangers will not be diminished in Wednesday's Premiership clash, despite Steven Gerrard's team likely to be missing a number of players through suspension. Alfredo Morelos will sit out four matches after his derby game red card and others could be missing too. Asked if the loss of Morelos in particular makes Rangers less of a threat, Levein said: "I would never say that about any team, particularly with the budget Rangers have got. "They will have other players capable of stepping in. 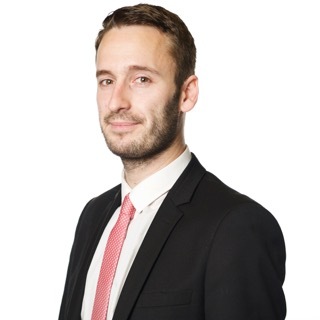 "Normally I'm pretty good at predicting the opposition's starting line-ups but it might be a wee bit different this time."